Fragranced consumer products—such as cleaning supplies, perfume, and air fresheners—have been associated with indoor air pollutants and adverse human health effects. Through a nationally representative population-based survey, this study investigates sources and risks associated with exposure to fragranced consumer products in Sweden. It examines the frequency and types of fragranced product use, associated health effects, exposure situations, knowledge of product emissions, and preferences for fragrance-free policies and indoor environments. Data were collected in July 2017 using an online survey of adults (n = 1100), representative of age, gender, and region in Sweden. Across the Swedish population, 33.1% report health problems, such as respiratory difficulties (20.0%), migraine headaches (16.1%), and asthma attacks (5.5%), when exposed to fragranced products. Of these reports, 24.2% could be considered potentially disabling. While 98.5% use fragranced products at least once a week, 70.9% were unaware that fragranced products, even ones called green and organic, can emit potentially hazardous air pollutants. Importantly, 6.7% of the population lost workdays or a job, in the past year, due to exposure to fragranced products in the workplace. Also, 18.1% enter and then leave a business as quickly as possible due to air fresheners or a fragranced product. A strong majority of the population would prefer that workplaces, health care facilities and professionals, airplanes, and hotels were fragrance-free rather than fragranced. 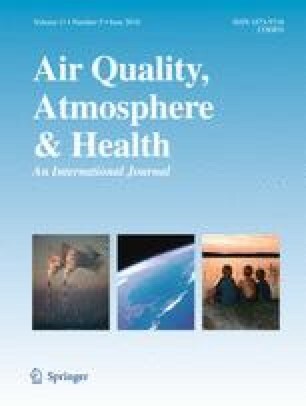 Results from this study provide new and important evidence that exposure to fragranced consumer products is pervasive in Sweden, that these exposures are associated with adverse health and societal effects, and that reducing exposures such as through fragrance-free policies can provide benefits to air quality and public health. The online version of this article ( https://doi.org/10.1007/s11869-018-0565-5) contains supplementary material, which is available to authorized users. I thank Amy Davis for her valuable assistance. I also thank the staff of Survey Sampling International for their superb work. I declare that I have no actual or potential competing financial interests.